George Bush senior was responsible for the military invasion of Panama in 1989 and the massacre of an estimated 3000 to 4000 thousand innocent defenceless men,women and children and there bodies were bulldozed into mass graves before the media arrived. RT News looks at 21 years after US military invasion of Panama,Noriega and Saddam Hussien were both on CIA payroll,AT 1:04mins photo of Bush with Noriega,At 2:42mins photo of Donald Rumsfeld shaking hands with Saddam Hussien. 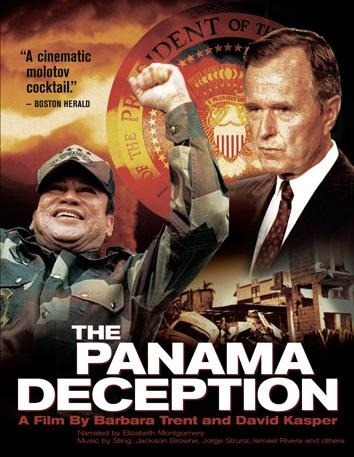 The Panama Deception has been broadcast in 52 nations internationaly but NOT in the USA it was outlawed in US controled Panama but many journalists gathered to show it in the city and forced the authorities to remove the ban. At 2:32mins Barbara has many ex-CIA friends in South America who now help to reverse the damage they took part in causing. George Bush senior was responsible for the military invasion of Panama in 1989 and the massacre of an estimated 3000 to 4000 thousand innocent defenceless men,women and children. put out there own TV news a few days after the conflict. men,women and children and burying them using bulldozers. permanently defends the Panama canal. 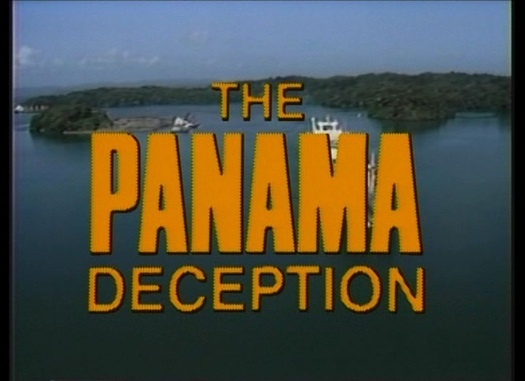 Noriega and the Panamanian army,ABSOLUTELY NOTHING.